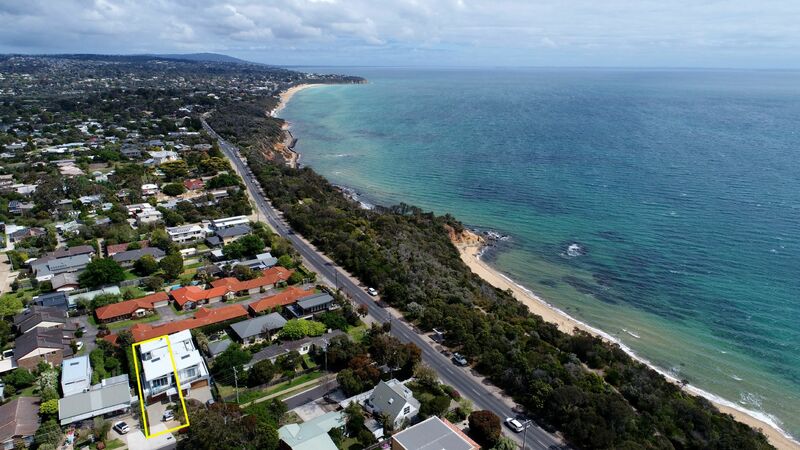 Full of style and sophistication, this first-class seaside residence offers blissful surrounds to enjoy beachside living at its best with large upper and lower living areas, superb alfresco options and a position just steps from Mt Martha�s beautiful foreshore walking trail and Birdrock Beach. 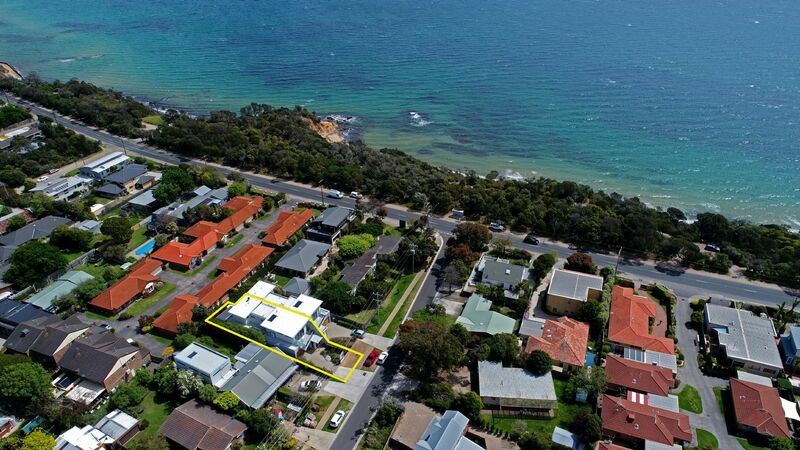 Ideal for families who want to live life to the fullest, early retirees or Melbourne�s holiday-makers in search of luxury and low maintenance, the home enjoys prime position at the beach end of one of Mt Martha�s few sealed beachside roads, with an Esplanade bus stop that is a handy service for students or holiday makers. 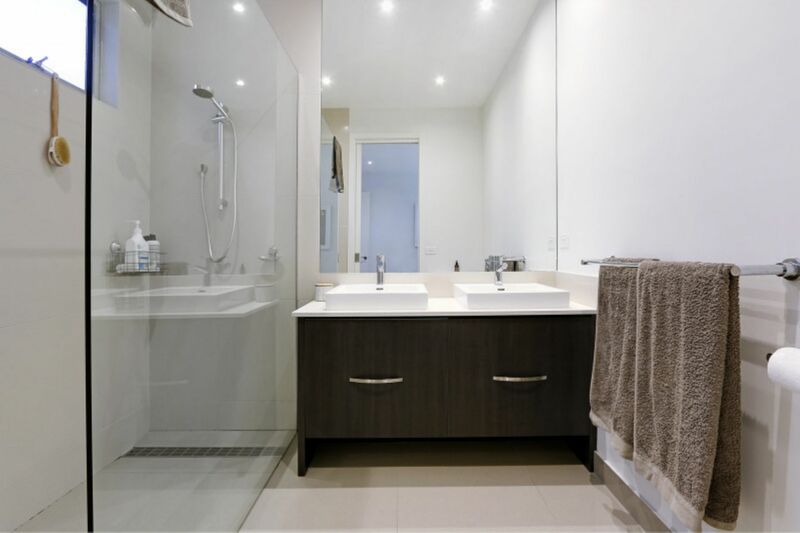 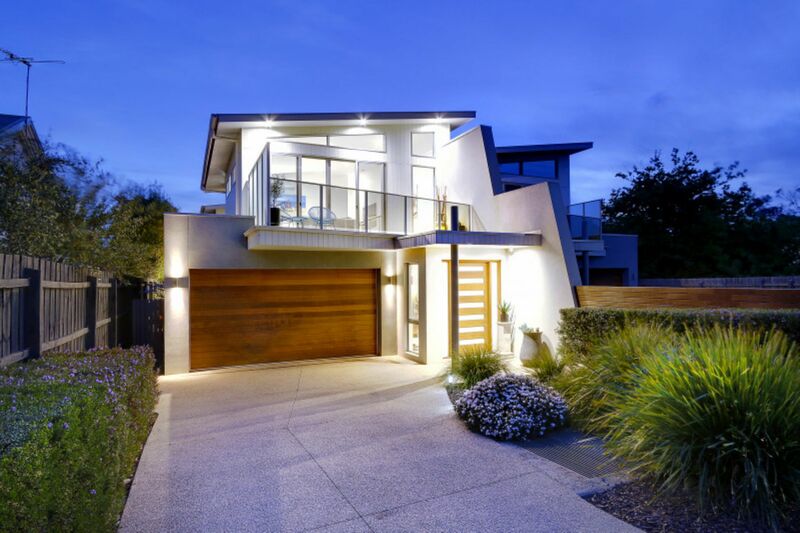 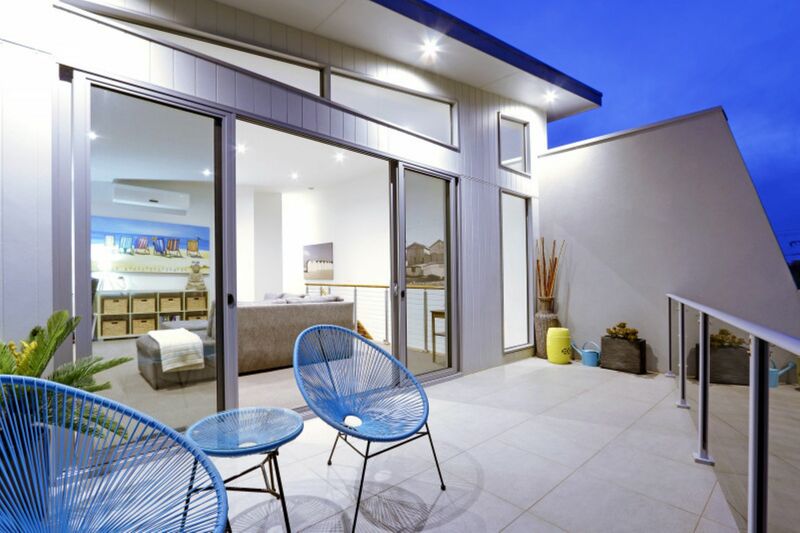 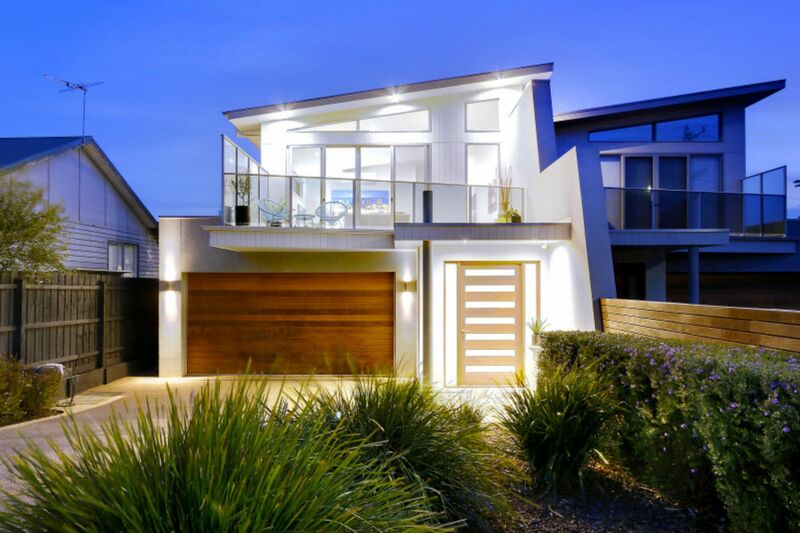 Just six years old and constructed to the highest standards by Mt Martha�s Statement Building Group, the home is cleverly designed with an entry that draws glorious sunlight from a void above and an open plan that flows through to the home to tranquil alfresco zones. 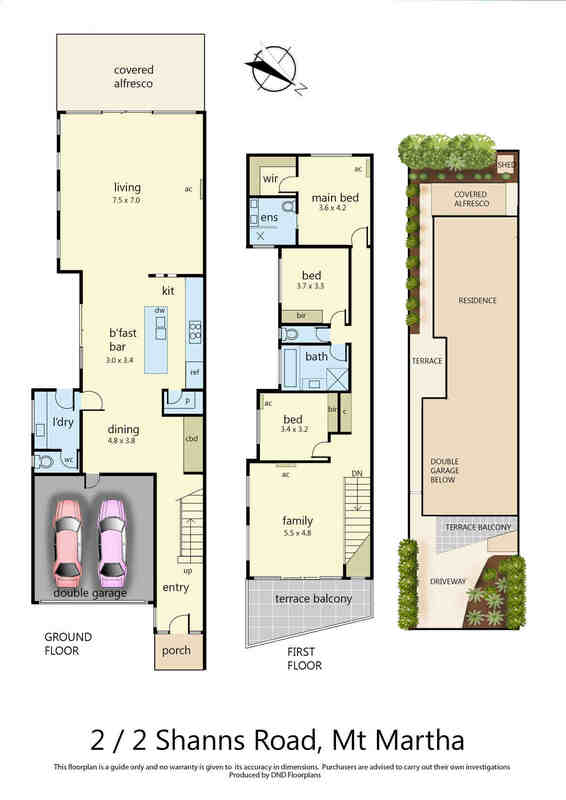 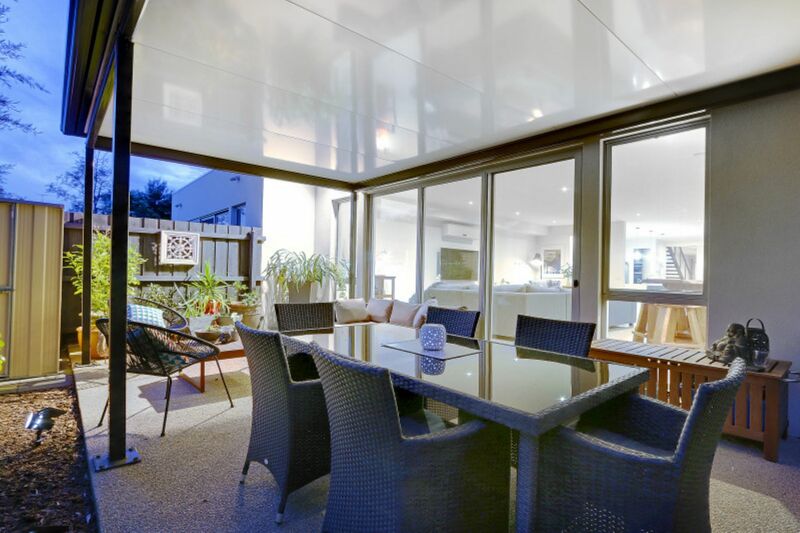 With an appealing rendered exterior and a distinctive tilted roofline, the home delivers surprising space including extra large lower level living with triple stacked sliding door to a covered alfresco area, while a stone-topped kitchen with all Blanco appliances overlooks a large dining hall to a breakfast courtyard. 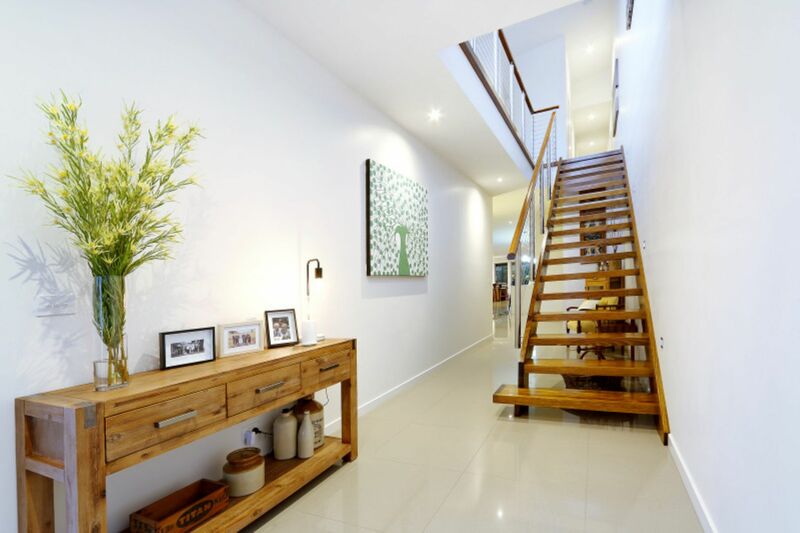 Up timber stairs find an equally large upper level lounge flowing out to a broad balcony, with a hallway that accesses all three bedroom including a stylish family bathroom and master ensuite with oversized step-in shower and twin stone-topped vanity. 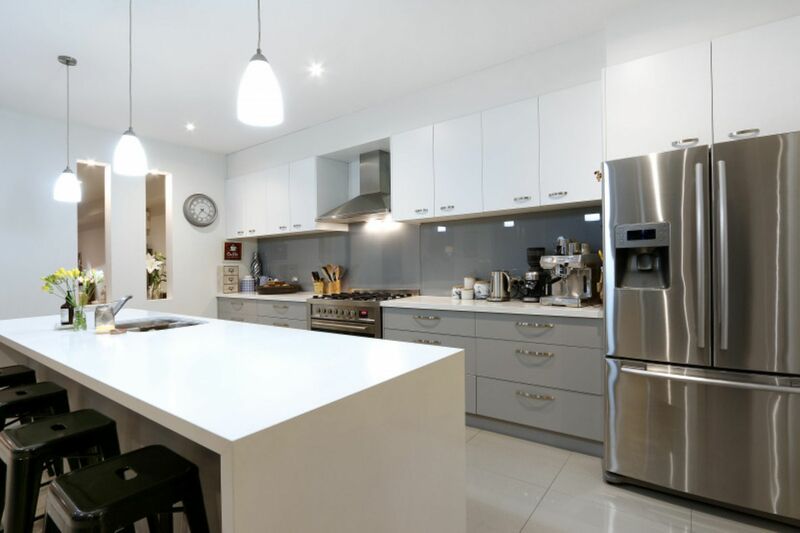 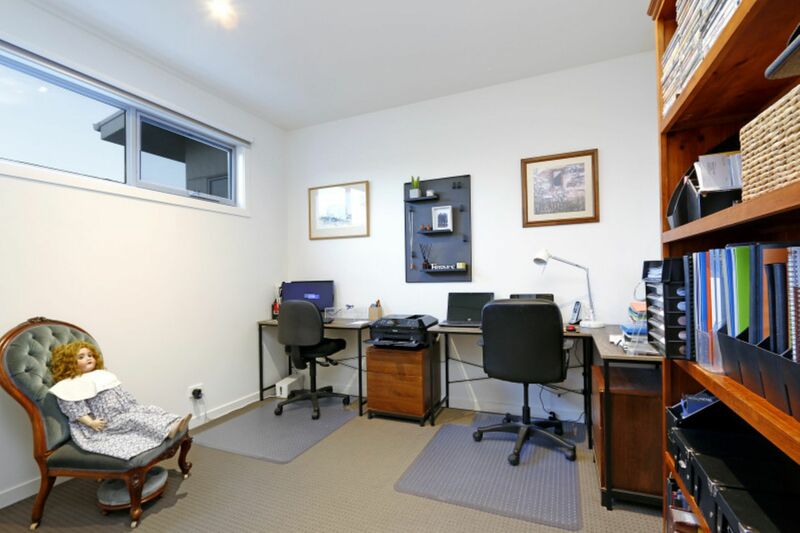 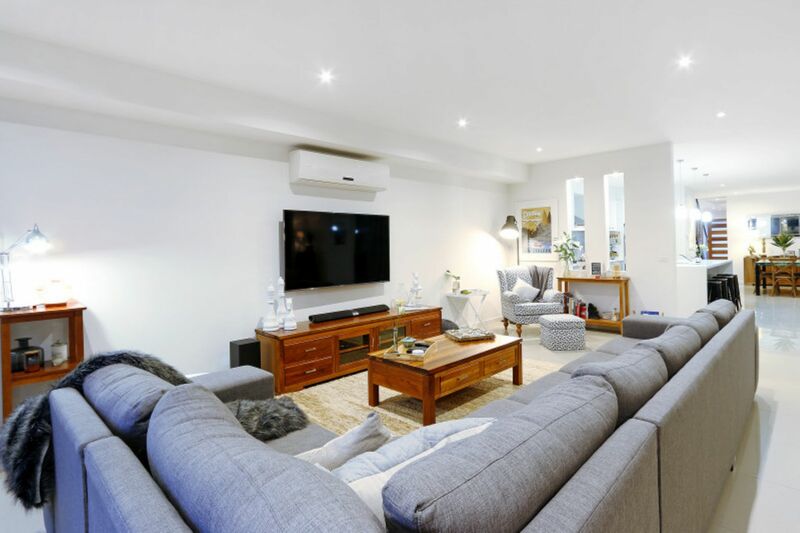 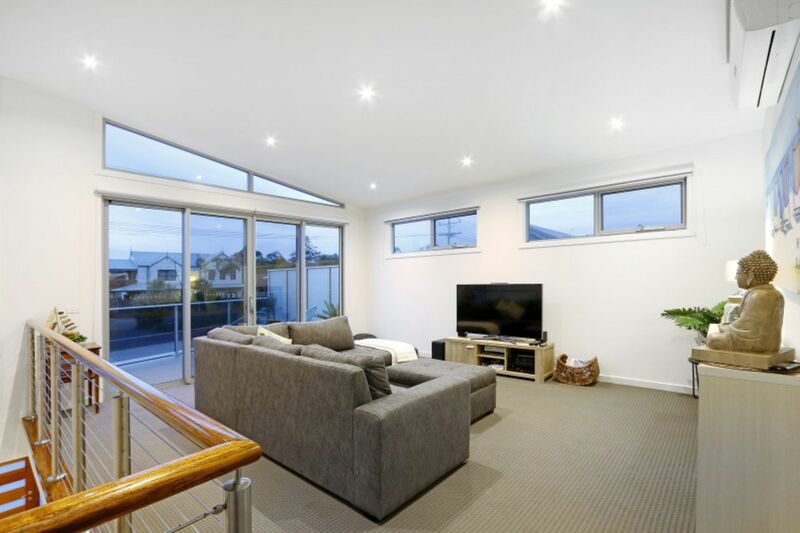 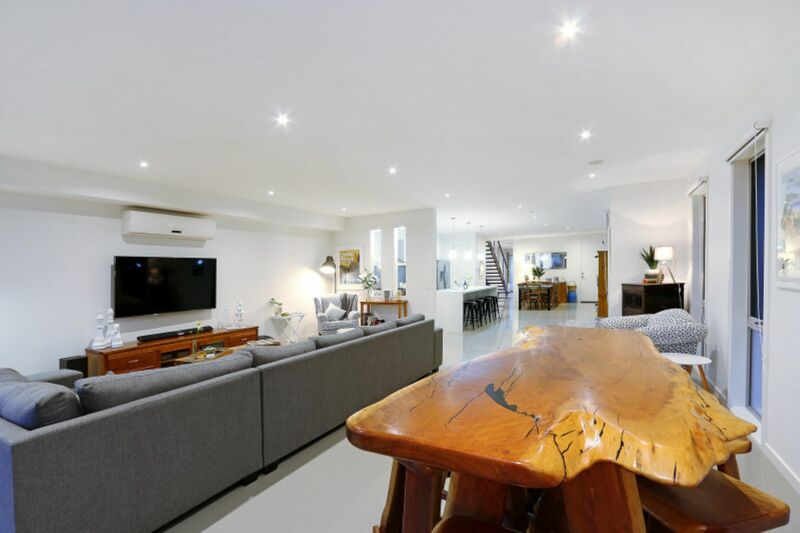 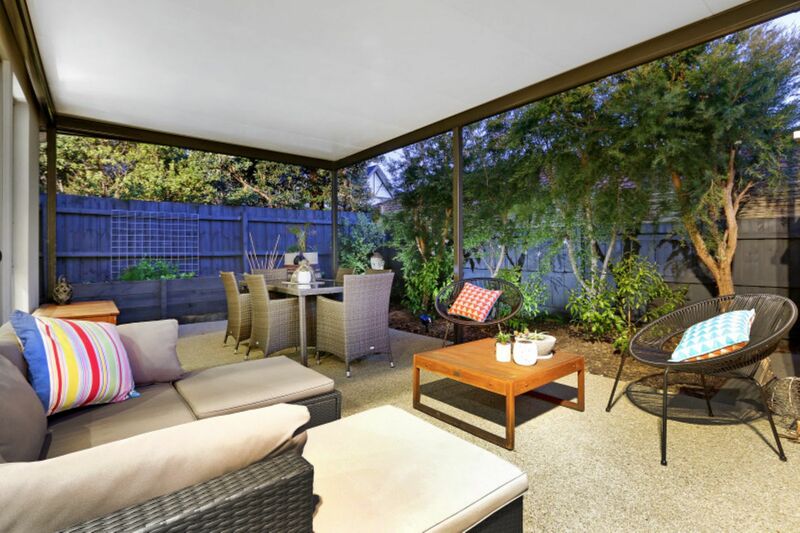 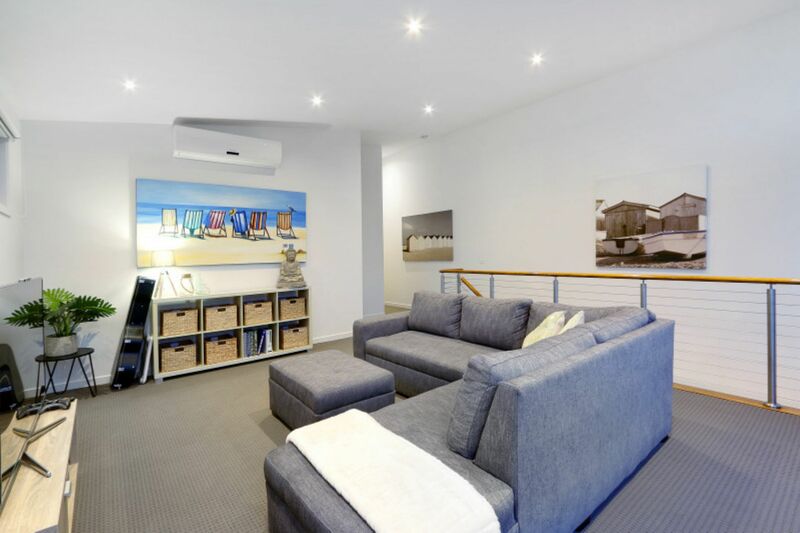 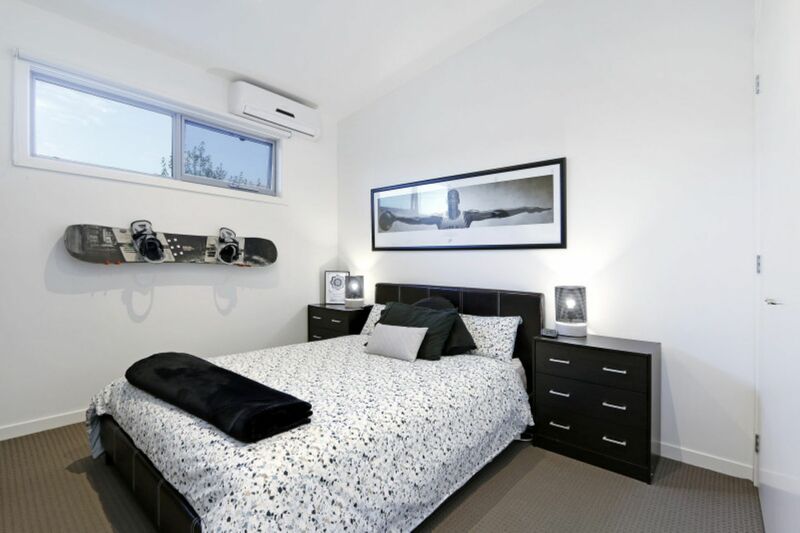 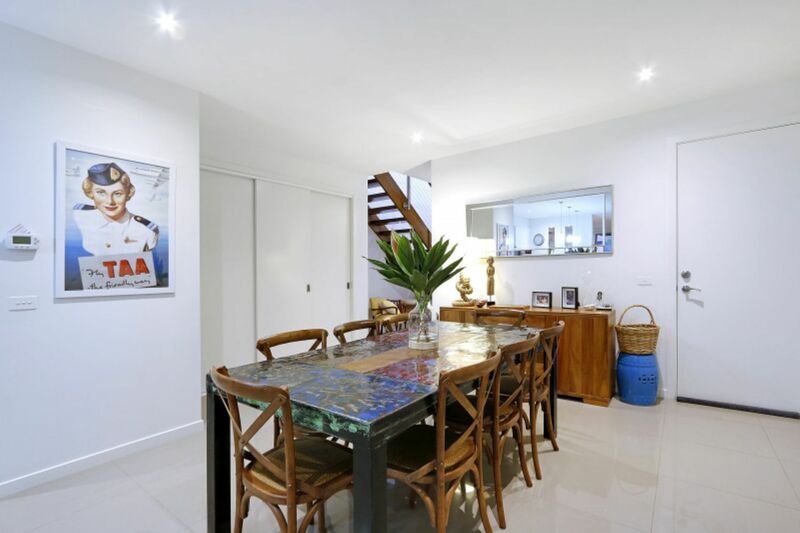 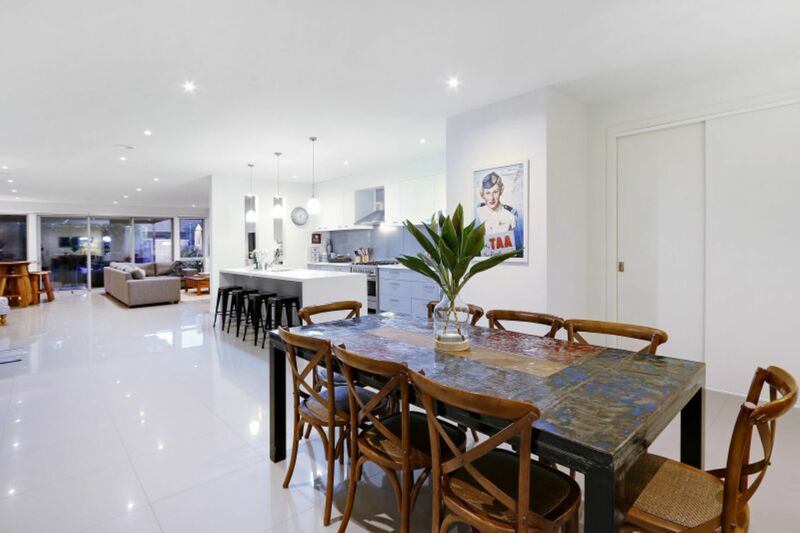 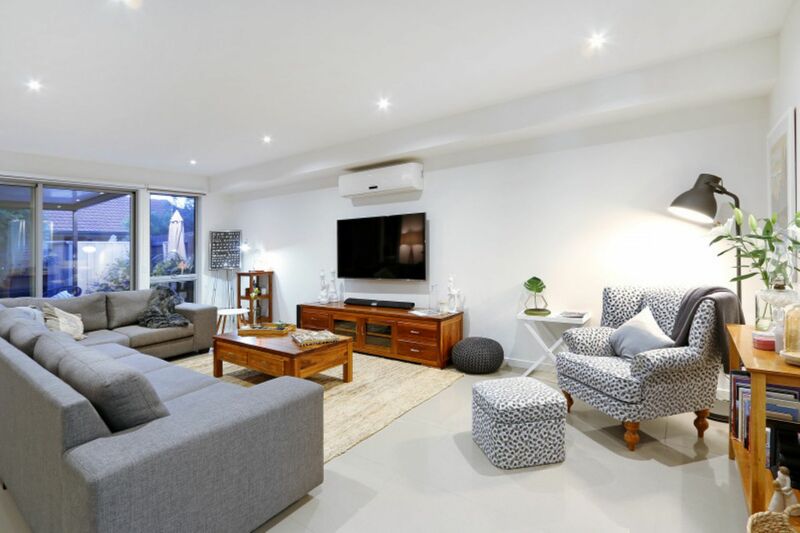 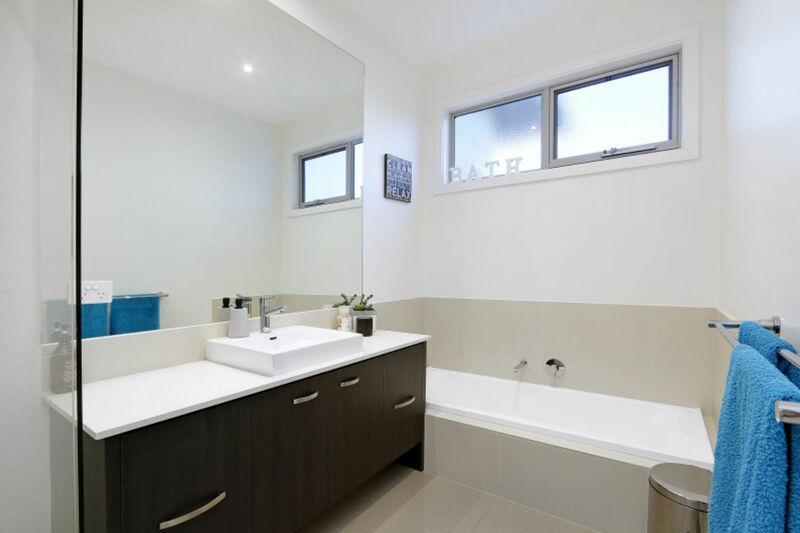 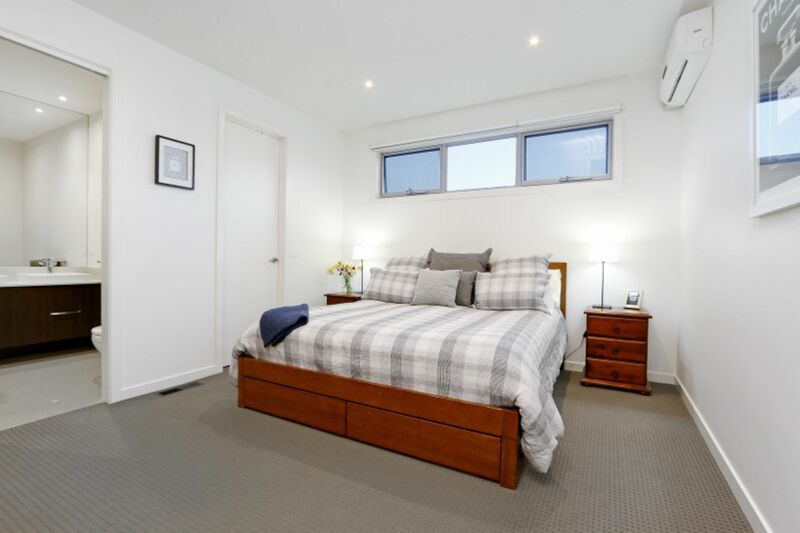 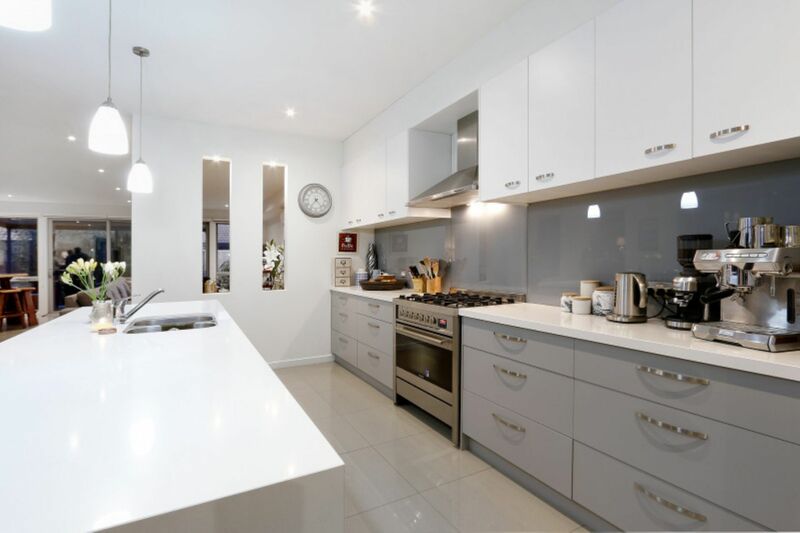 Complete with ducted heating, reverse cycle airconditioning on both the upper and lower level, and internal access to a double remote-controlled garage, the home represents idyllic seaside living where there�s nothing to do but enjoy all the privileges of this much envied neighbourhood.